Army Specialist Ricky Glen Elder was on a mixture of psychiatric drugs known to cause violent and suicidal behavior when he killed his superior officer in June 2012 at Fort Bragg, North Carolina, then turned the gun on himself. How and why it went so tragically wrong. 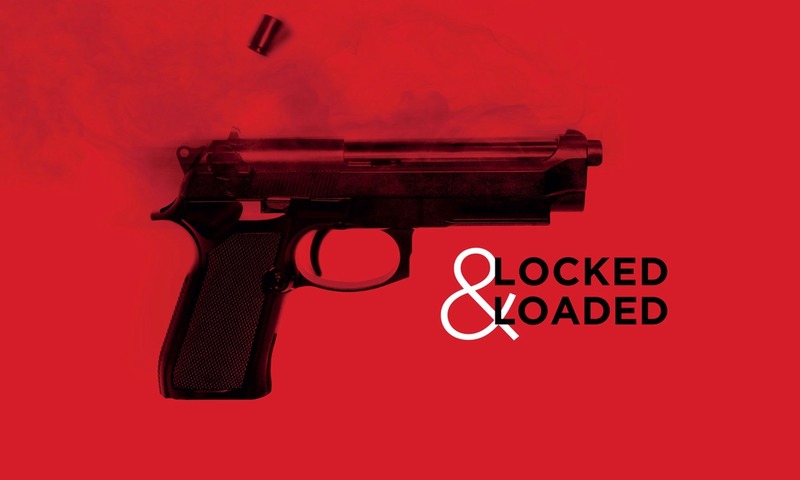 At 3:30 p.m. on a summer day in June 2012, Army Specialist Ricky Glen Elder pulled a 9 mm semiautomatic pistol from his uniform and shot his battalion commander multiple times, one bullet piercing his heart. He then reloaded and continued shooting the lifeless man and threatened to shoot others approaching him. He injured another soldier before kneeling and putting a bullet into his own head. 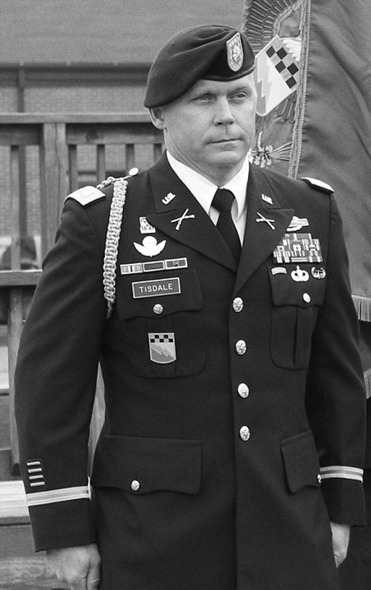 Lt. Col. Roy Tisdale died instantly. Elder was brain dead and died the next day. At just 27, Elder had already lived a long, violent and troubled life, well documented in court records and news stories. His problems started as a juvenile in Hutchinson, Kansas, where he was charged with battery and marijuana possession, and continued even after he enlisted in 2004, later graduated from the elite Ranger school and was assigned to the 525th Battlefield Surveillance Brigade at Fort Bragg, North Carolina, in June 2010. While other soldiers were building careers, Elder was building a rap sheet that included multiple charges for assault, drunk driving and one for leaving the scene of an accident. In 2010, he was charged with aggravated battery and reckless aggravated battery for knocking a woman unconscious in a Kansas bar. His court date was set for the day after the shooting, according to press reports. For some unexplained reason, the civilian prosecutor in the case and the Army allowed Elder to deploy to combat with the serious charges hanging over his head. But it wasn’t just the woman in a bar who had reason to fear Elder’s unpredictable and violent temper. His wife, Erica Cone, told investigators that when she was four months pregnant, a drunken Elder attacked her, prompting her to call police. She said she had convinced Elder to plead guilty in the Kansas bar fight case to put the incident behind them. When he killed himself, Elder was also facing court martial for stealing military property, which could have led to dishonorable discharge, loss of benefits and time in the brig. Just a month earlier he had wrecked his car and was cited for reckless driving. It was about this time the Army stopped his pay. Without question, Elder’s personal and professional lives were in deep turmoil. “He had his problems,” a fellow soldier told investigators. But none of this really fully explains what happened June 28, 2012, at Fort Bragg. When the Army Criminal Investigation Command released to Freedom 430 pages of documents related to Elder’s death, a possible answer emerged—prescription drugs and their role in Elder’s life—and his death. The documents were obtained through requests made under the Freedom of Information Act for records pertaining to an ongoing examination and investigation by Freedom into military suicides. The newly released records raise numerous questions as to how Elder was allowed to remain in the military despite his extensive record of criminal offenses, and why psychopharmaceuticals prescribed to Elder were not rigorously monitored and apparently not looked into as a contributing factor in the murder-suicide. According to the Army’s own criminal probe, investigators knew Elder was on a host of drugs that even a cursory Internet check would’ve shown were capable of causing mood swings, suicide ideation and anger individually, let alone in combination. In the investigation following the murder and suicide, Army investigators found bottles of high-dose Ibuprofen and the addictive painkiller Oxycontin in Elder’s car. They also discovered a brown paper bag with bottles of the painkiller and muscle relaxant cyclobenzaprine (Flexeril), and the painkiller Hydrocodone. Some of the drugs apparently were obtained 11-18 days before the shooting, according to the documents. Most damning of all was a bottle of the antidepressant amitriptyline (Elavil). Effects can include suicidal thoughts, worsening depression, hallucinations, extreme worry, agitation, panic attacks, aggressive behavior, irritability, mood swings, hostility and impulsive behavior. Flexeril can impair judgment. Oxycontin is an opioid pain medication that can cause confusion, cold sweats and fever, and Hydrocodone is a powerful narcotic that may become habit-forming and can cause depression and anxiety. Ibuprofen is an over-the-counter pain medication that can cause anger, mental impairment, mood changes and anxiety. A toxicology report from the North Carolina medical examiner indicated Elder had not been drinking. But in a glaring omission, the report made no mention of whether testing for other substances had been conducted, and the medical examiner did not respond to the Freedom request for information about testing for drugs. The documents released by the Army contained no indication as to whether investigators examined the drugs as a possible contributing cause of the shootings or whether they investigated to find out if monitoring protocols for the drugs Elder was given had been followed. But portions of the report were not released. The Army and the media recount in detail the personal, legal and financial problems Elder faced the day of the shooting, but there is no evidence in the FOIA documents that anyone considered the role of these powerful drugs in the tragedy that played out. Elder’s actions the day of the shootings are an incomprehensible mix, part doting father and part calculated killer. Just before 2 p.m. on June 28, Elder paid $85.60 cash for three unstuffed teddy bears. A fellow soldier told investigators that on the day of the shooting, Elder posted on his Facebook page that he had sought a medical discharge for combat-caused dementia, but the Army refused, saying the condition was hereditary. Elder maintained the dementia was caused by an incident in Iraq, where he deployed in October 2006. Nine months into his tour, he was thrown from the turret of a Humvee on which he was a gunner, knocking him unconscious and causing a concussion. The Army reported no visible brain damage. A fellow soldier died in the incident, deeply affecting Elder, according to reports. Elder’s wife told Army investigators that when she met him in 2010, he suffered from nightmares and talked about suicide and the loss of his Army buddy. Minutes before the shootings, which occurred at a safety briefing on the military base, a soldier told investigators she noticed Elder and that “He was wearing sunglasses and had an extremely pissed-off look on his face.” As the assembly dispersed, she turned away from where she had seen Elder. Lt. Col. Roy Tisdale was fatally shot by Specialist Ricky Glen Elder who then killed himself. The role of psychiatric drugs in the tragedy has not been fully investigated. At that moment, Elder walked up behind Tisdale and shot him several times. “Suddenly everyone started screaming and running,”a soldier told investigators. One round fired at Tisdale struck another soldier, who thought the gunshots were fireworks until he felt a sharp pain in his right calf and realized he had been shot. Tisdale then fell behind the podium, hit three times in the torso, including once in the heart. Elder then reloaded the pistol with a spare ammunition clip he pulled from his belt and stood over Tisdale as he shot him several more times, including in the face. The witness said he and a sergeant chased Elder. Elder then dropped to his knees, reportedly began to breathe heavily and yell, placed the pistol to his right temple and pulled the trigger. He was alive but brain dead until the next day, when his uncle granted permission to remove life support. On the note was a black Leatherman multipurpose tool, opened with the blade exposed. Concerned about possible booby traps, authorities brought in a bomb-sniffing dog, but found nothing. Later, investigators searched the 2012 Chevrolet Malibu that Elder had rented after he crashed his car and fled the scene. That’s where they found the trove of psychopharmaceutical drugs. Also in the vehicle were records related to the pending case involving theft of government property. Other papers indicated that Elder was granted “convalescent leave” in May 2012 for “severe pain,” clear evidence that he was on a cocktail of drugs with high potential for having deadly effects. On June 19, nine days before the shooting, Elder sought to extend the leave but was denied, the Army report says. Also in the car was a memorandum from the Department of Behavioral Health at the post hospital to a defense attorney related to a “sanity board” proceeding for Elder. Freedom asked the Army why, in light of his numerous legal troubles, Elder was allowed to remain in the military; if investigators ever considered the cocktail of drugs he was prescribed as a possible contributing factor in the killings; and whether his antidepressant use was properly monitored. The Army responded to Freedom’s questions by saying “The investigation speaks for itself” and declined further comment, citing federal medical privacy laws. But the fact remains, and is worth noting, that nowhere in Elder’s case file is there any mention that his antidepressant use was ever monitored or investigated. In 2012, the year Elder took his own life, the Pentagon’s Defense Suicide Prevention Office reported 320 full-time service members committed suicide. In 2013, the number reported was 286. The Associated Press reported 288 confirmed or suspected suicides by active duty troops in 2014. Recently, the Government Accountability Office (GAO), the investigative arm of Congress, found that 94 percent of veterans diagnosed with major depressive disorder were prescribed at least one antidepressant. Although the report concerned veterans, many of them, like Elder, were combat veterans adjusting to life back in the United States and had been prescribed drugs. Other cases under examination by Freedom involved service members who were prescribed antidepressants or exhibited suicidal behavior before killing themselves. One of those cases, the 2008 suicide of Navy Hospitalman Christopher Purcell, triggered a Congressional inquiry and resulted in a 64-page report from the Department of Defense Office of Inspector General, charged with finding and exposing waste, fraud and abuse in the military. Purcell, 21, shot himself in the chest with a .357-caliber magnum pistol at Naval Air Station Brunswick in Maine after military law enforcement officers failed to find a pistol he hid under his clothes. He bought the gun just 10 days before taking his life with it. A 313-page report from the Naval Criminal Investigative Service (NCIS) obtained by Freedom indicated that Purcell had a history of drinking problems and was taking a psychopharmaceutical and possibly another drug, ostensibly for insomnia. Purcell’s medical records indicate that he attended counseling in November 2007 for “alcohol-related issues” and that he was prescribed Xanax in December 2007, according to the NCIS report. Studies have shown Xanax can cause aggression, violence and increased risk of suicide. In January 2008, the month of Purcell’s death, commanders referred him for further counseling for “another alcohol incident and mood disorder,” the report says. The inspector general’s report, released two years before Elder’s death, highlights a Navy investigator’s finding that the Navy failed to recognize behavior that indicated Purcell was suicidal. Some of the behavior was similar to that of Elder. Michael Purcell, the dead sailor’s father and a Navy retiree, filed a federal wrongful death claim in 2009, but the claim was denied in 2010. His appeal to a federal court in 2011 also was denied, and in March 2012, the U.S. Supreme Court declined to hear the case. Rick Rogers is a Southern California-based writer who has covered defense and veterans issues for more than 30 years. He has reported for several publications, including Stars and Stripes and the San Diego Union-Tribune. In 2004 he embedded with Marines at Fallujah. The Defense Department, Virginia Press Association, California Newspaper Publishers Association and the Society of Professional Journalists have honored his work.